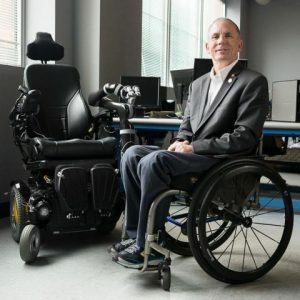 McGowan Institute for Regenerative Medicine affiliated faculty member Rory Cooper, PhD, has been named an ambassador for the “Mobility Unlimited Challenge,” a $4 million global contest to change the lives of people with lower-limb paralysis, culminating in the unveiling of the winners in Tokyo in 2020. This effort will harness creative thinking from across the world to accelerate innovation and encourage collaboration with users to find winning devices to transform the world for people with lower-limb paralysis. The Mobility Unlimited Challenge is run by the Toyota Mobility Foundation in partnership with Nesta’s Challenge Prize Centre.